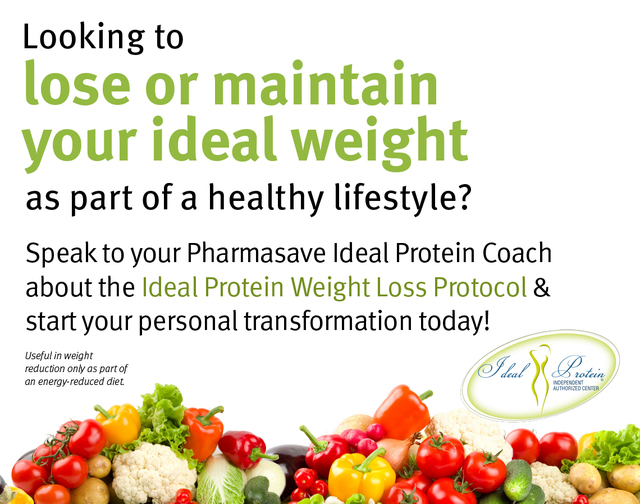 Have you heard about the Ideal Protein Program at Pharmasave? Ideal Protein is a 4 phase weight loss program that helps you lose weight and keep it off. Book yourself a consultation to learn more about the program. Whether you are looking to lose 20 lbs or 100 lbs, we can help you change your lifestyle. Call Pharmasave today at 250-837-2028 ext. 217 to book your consultation.